Reviewing a single camera brand has always been subjective. 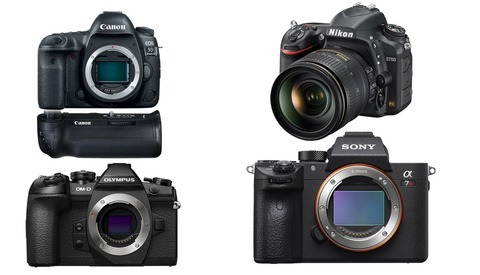 Placing three of the latest mirrorless cameras on the market side-by-side is more fair. Some fans will be pleasantly surprised while others may feel a little uncomfortable. The Slanted Lens has always been a great resource when comes to comparing gear that we like or would love to buy. 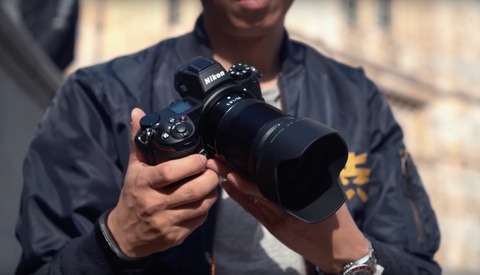 In this episode they put the Canon R, Nikon Z7, and the Sony a7R III to the test in both stills and video mode. The comparison included dynamic range, tonality, sharpness and detail, high ISO, auto focus, and video in 4K and 1080p modes. When testing the dynamic range they underexposed and overexposed the shots by one, two, three, and four stops and then corrected the exposure back in post. I've seen lots of standalone reviews of those cameras and there have always been conflicting opinions. Most of the time the downsides don't have anything to do with the image quality. When watching this video, I was personally most interested in the outcome from the dynamic range, tonality, and high ISO tests. The results pleasantly surprised me, because I'm using same camera brand as the overall winner. In order to keep spoilers away, I will hint you that one of the cameras was a constant loser in all of the competitions. In the tests for dynamic range and, tonality, I doubt they were using JPEGs (which are usually camera-settings dependent). The ISO test may have some interference with a noise reduction setting turned on, but this noise redudction will not have such of an impact on the color and the overall grain. It was way too noticeable on the Z7. When they were shooting with the autofocus mode, they must have surely set the camera to an automatic focus detection mode. Otherwise it won't be able to guess what's the object you like to be in focus: the foreground or the background. They didn't even show the results with the Nikon, because it didn't work at all. The only test results that I think were quite unreliable were the video tests, because these cameras are designed for stills, at first place. Thanks for the comparison from your personal experience. Maybe this video was not poorly done. You don't know, you can't say. You can see if it matches your opinion though. I do not often meet the owner of two FF systems. Thank you very much for your insight and comparision. Respectfully, the Z6 seems more the camera to use in this test at 24mp and $2k. I've not used the Z7. I own the 850 and adore it. I am testing the Z6 right now and it's 4k flat video (even in internal 8-bit) and high Iso still image quality (even at Iso 28,800) is pretty fantastic. I think the big megapixel Z7 was in the wrong group here. It belongs with the a7Riii and, having used that camera a lot with my workshop students, I'd guess the Z7 is a bit behind for still quality and autofocus. For a whole year I was under the impression the A7R3 was an absolute beast about recovering underexposed pictures. Well, until now. Am I missing something? Please somebody would explain? Let me preface my response. I have used the 5D III and IV and the EOS R, I have used the Z7 and I have used the A7R III so none of these cameras or their capabilities are at all foreign to me. The stated results do not at all reflect my and others real world testing. The dynamic range of the Canon is significantly less than the Sony and Nikon for both underexposure and overexposure. The Canon sensor is not ISO invariant and when underexposed it suffers from significantly more false color noise, and more luminance noise compared to the Z7 or A7R III. I believe you have switched the files or or perhaps shot the cameras in 12 bit to limit the Sony and Nikon's dynamic range. I can provide examples of side by side shots at base ISO and higher ISO if necessary to back up my findings. 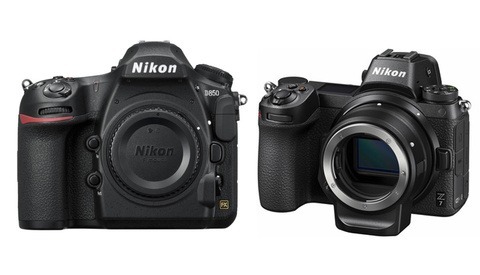 DPreview's studio comparison tool wil show this too. Why show out of camera jpegs you throw away 60% or more the detail the camera captured? Who would buy these to see what jpegs can do? For the tracking comparison why penalize the sony and not use eye AF? This is the most consistent way to focus and attains and even better hit rate than the 5/6 you got. Why put the very best RF 50 1.2 on the Canon and 85 1.4 GM on the Sony but use an adapted F mount 50 1.4 Nikon Lens the new Z mount 50 1.8 is better? For high ISO the canon is not the "cleanest by far" the Sony is significantly cleaner as a processed 14 bit raw file, the Z7 although not as good as the D850 is still better than the EOS R also how did you obtain a result where the Canon is the cleanest by far? Can you please have the creator of the video make the original files available for all of us to download? It's probably me, but I have never heard they were using JPEGs to compare dynamic range. - The cameras are shooting in the less-compressed format (both in video and stills tests) and the exposure is changed to the + or - stops using the shutter speed (for stills) or the aperture (for video tests). - Then in post the exposure is corrected bringing detail in the underexposed and overexposed area until the shot looks normally exposed. - Comparing the different shots. In the video you can see that all the dynamic range tests display shots where the face of the model is normally exposed which means the test has been performed exactly I said in the previous paragraph. You can't have that with JPEGs. What you suggest was they have overexposed and somehow they show JPEGs that look normally exposed on the model. That doesn't make any sense to me. I doubt the creators of the video have switched the files, but you can ask them. Just visit their channel and then their website. You will see a blog post about that test too. You can contact them and ask them for the original files where you can see the meta data. As for the lenses, the use of a lens has a very little effect on the dynamic range test. It's affecting the tonality, sharpness, vignetting, etc. In the tonality test we saw that the Nikon was performing almost the best with that lens. It's not an excuse for the failure of the Z7 on the other tests. For example the lens has nothing to do with noise or banding when using a high ISO. If you perform your test in a similar outdoors environment, you can share your results then, but first ask them for the files so you can test with the exact same camera settings. I guess they said they used the default settings in the cameras without changing much. The mention of the lens was regarding the sharpness comparison they put an ok older lens adapted on the z and 2 exceptional native lenses on the sony and canon. If you put an equivalent resolution lens on the Z it would have done better. The Z7 was almost a winner on the sharpness/tonality test. And yes, contact them and see what they will give you as information and files. The most insane thing about the Z series cameras are their pricing; comparatively speaking way overpriced to the competition. The"test" is sort of a mess in that they used a known defective camera, they did not seem to shoot simultaneously (according to the shadows) and they used 2 50mms , a new and and old adapted one and for some reason a 85 on the Sony, why no 50? Maybe I missed it, are these SOOC jpgs, how were they metered, hand held or in camera?? My real question is the "underexposed" Canon results being the favorite but the color banding in the street is mentioned with Canon but not Sony or Nikon....because for a long time Canon "underexposed" was a recipe for disaster..I say "underexposed" as I am not sure that matters as it did with film. On the other hand since this test very real world and sort of loosey goosey parameters, the results are more what someone would come up with in everyday conditions. The Z7 indeed looked defective, but as I have never seen other tests like these, I can't be sure. It may be "defective" by design. As for the SOOC images, they are converted raw files for sure. Dynamic range tests are always performed by getting the image back to its normal exposure in post and seeing what can be saved from the raw file, not the JPEG. The metering is obviously for the face of the model which looks fairly equally exposed on all dynamic range tests. The problems happen with the overexposed or underexposed areas in the surroundings. The lenses matter mostly for the sharpness, the tone, and the detail. They won't affect the dynamic range a great deal, neither the noise. I'm far from being a pixel-peeper and the sharpness and detail were good enough for me on all three cameras. I'm mostly watching for the dynamic range and the high-ISO noise, because it's visible no matter how big the resolution is. I don't really care about their video, because these cameras are not designed for video, but all of them can get the job done fairly well if that's what you have. As a dedicated Nikon shooter, I am always jealous of Canon skin tones. Regardless of every other technical issue being debated. ...Fortunately, I primarily shoot architecture.